Oliver Heywood (1630–1702), third son of Richard Heywood, yeoman, by his first wife, Alice Critchlaw, was born at Little Lever, near Bolton, Lancashire, in March 1630. His parents were strong Puritans. After passing through the Bolton grammar school and other schools, he was admitted at Trinity College, Cambridge, on 12 June 1647. In religious matters he was much influenced by the preaching of Samuel Hammond, D.D., and joined with other students in a kind of religious club which met in the ‘garret-chamber’ of Thomas Jollie. In 1650 he graduated B.A., and soon began to preach; his first sermon was delivered at a village in the neighbourhood of Preston, Lancashire. By his uncle, Francis Critchlaw, he was recommended as preacher at Coley Chapel, near the village of Northowram, in the parish of Halifax, West Riding. He accepted this post and though under the regular age, he was ordained on 4 August 1652 at Bury, Lancashire. His younger brother, Nathaniel, was minister at Illingworth Chapel, in the same parish of Halifax, and the two lived together in 1654 at Godley House. Heywood removed to Northowram on his marriage in 1655. 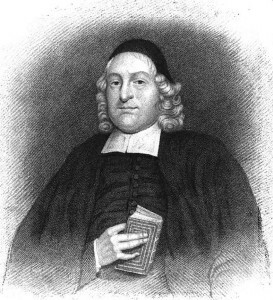 For many years before his settlement there had been no administration of the communion at Coley; he restored a monthly celebration in 1655, connecting it in 1657 with the introduction of church discipline in the Presbyterian way. Hitherto his parishioners had been united in attachment to his ministry; the discipline divided them, and ‘sincere Christians’ became his greatest trouble. He persevered against opposition, declining calls to one of the two churches of St. Martin, York, and to the vicarage of Preston. Heywood was a royalist Presbyterian, and though he took no part in the insurrection under George Booth, he disobeyed the order requiring a public thanksgiving for its suppression, and was accordingly apprehended and threatened with sequestration in August 1659. On the news that Monck had declared for the king, he breaks out in his diary into a psalm of praise. With the Restoration, however, his serious troubles began. Richard Hooke, the new vicar of Halifax, prohibited baptism in the outlying chapelries. Heywood continued to baptise, making his peace by sending the customary perquisites to the vicar. On 23 January 1661 his ‘private fast’ was stopped by authority. Among his parishioners an influential party, headed by Stephen Ellis of Hipperholme, the man of most substance in the chapelry, was in favour of the resumption of the prayer-book. A copy was accordingly laid on the pulpit cushion on 25 August 1661. Heywood quietly set it aside. At the instigation of Ellis, Heywood was cited to York on 13 September, After several hearings his suspension from ministering in the diocese of York was published on 29 June 1662 in Halifax Church. For two or three Sundays he persisted in preaching; within a month of the taking effect of the Uniformity Act (24 August 1662) he was excommunicated, the sentence of excommunication being publicly read in Halifax Church on 2 November, in the parish church of Bolton, Lancashire, on 4 January 1663, and again at Halifax on 3 December 1663. Hence attempts were made to exclude him from churches, even as a hearer; while, on the other hand, Ellis, as churchwarden, claimed fines for his non-attendance at Coley Chapel, under the statute of Elizabeth. John Angier, his father-in-law, admitted him to the communion at Denton Chapel, Lancashire; on 5 June 1664 he preached, by the vicar’s invitation, in the parish church of Mottram-in-Longen Dale, Cheshire; and on 13 August 1665 he preached at Shadwell Chapel, near Leeds, Hardcastle, the minister, being then in prison for nonconformity. Though according to law a ‘silenced’ minister, Heywood persistently held conventicles at the houses of the Presbyterian gentry and farmers, in open defiance of the act of 1664. On the passing of the Five Mile Act (1665) he left his residence (at that time Coley Hall), but only to become an itinerant evangelist throughout the northern counties. It was his opinion that this act, by carrying the ejected ministers into new localities, promoted rather than hindered the nonconformist cause. Taking advantage of his successor’s absence, he preached at Coley Chapel on the first Sunday of 1668 to ‘a very great assembly’; his appearances in the pulpits of parish churches were frequent at this time. At length, on 13 March 1670, he was apprehended after preaching at Little Woodhouse, near Leeds, but was released two days after. His goods, however, were seized to meet the fine under the new Conventicle Act. Under the royal indulgence of 1672 he took out two licenses as a Presbyterian ‘teacher’, one for his own house at Northowram, the other for the house of John Butterworth at Warley in the parish of Halifax. Over a hundred of his former parishioners entered with him into a church covenant void of Presbyterian peculiarities, and hence joined by the members of a congregational church gathered at Sowerby Chapel in Halifax parish, by Henry Root. When the licenses were recalled (February 1675) Heywood resumed his itinerant labours. He is said in a single year to have travelled 1,400 miles, preached 105 times, besides Sunday duty, and kept fifty fast days and nine of thanksgiving. He assisted in the first Presbyterian ordination in Yorkshire, at Richard Mitchel’s house in Craven, on 8 July 1678. On 16 January 1685 he was convicted at the Wakefield sessions for ‘a riotous assembly’ in his house. Refusing to pay a fine of £50 and to give sureties for good behaviour, he was imprisoned in York Castle from 26 January to 19 December. He approved of James’s declaration (1687) for liberty of conscience, and at once set about building a meeting-house at Northowram (opened 8 July 1688), to which he subsequently added a school. The first master was David Hartley, father of David Hartley the philosopher. His meeting-house was licensed under the Toleration Act on 18 July 1689. Heywood was one of the many nonconformist divines who attended solemn fasts (September 1689) in connection with the case of Richard Dugdale, known as the ‘Surey demoniac.’ It is clear that he originally believed in the reality of Dugdale’s possession, yet in the subsequent defence of the ministers concerned he took no part. The London agreement (1691) between the Presbyterians and Congregationalists, known as the “Happy Union”, was introduced into Yorkshire mainly through Heywood’s influence. On 2 September 1691 he preached in Mrs Kirby’s house at Wakefield to 20 ordained and four licensed preachers of the two denominations and the “heads of agreement” were adopted. The meeting was the first of a series of assemblies of nonconformist divines of the West Riding at which preaching licenses were granted and ordinations arranged. Extracts from his diary – pdf, 16 pp. Twenty-eight soliloquies – pdf, 36 pp. The epistle to the reader of “Advice to an Only Child” – pdf, 6 pp. Twenty-one of his letters – pdf, 19 pp. The Life of the Reverend Nathaniel Heywood –pdf, 69 pp. A Narrative of the Life and Death of the Reverend John Angier (his father-in-law) – pdf, 56 pp. The Close of Mrs. Ellen Angier’s Life (his mother-in-law) – pdf, 2 pp. A Biographical Account of Mrs. Elizabeth Heywood (his first wife) – pdf, 5 pp. A Brief Memoir of Mr. Richard Heywood (his father) – pdf, 7 pp. Particulars of the Life of Mrs. Alice Heywood (his mother) – pdf, 9 pp. A Memoir of Mr. John Heywood (his eldest son) – pdf, 8 pp. A Memoir of Mr. Eliezer Heywood (his second son) – pdf, 7 pp. Heart Treasure (Matthew 12:35) – pdf, 291 pp. The Sure Mercies of David (Isaiah 55:3) – pdf, 217 pp. This is also known as the second part of “Heart Treasure”. Closet Prayer (Matthew 6:6) – pdf, 134 pp. Also available as a Digital Puritan Press reprint (under the title Private Prayer: A Christian Duty). The Intercession of Christ (Isaiah 53:12) – pdf, 113 pp. Life in God’s Favour (Psalm 30:5) – pdf, 139 pp. Israel’s Lamentation After the Lord (1 Samuel 7:2) – pdf, 109 pp. Job’s Appeal (Job 10:7) – pdf, 28 pp. A funeral sermon for Mr. John Denton. Baptismal Bonds Renewed (Psalm 50:5) – pdf, 290 pp. A Family Altar Erected to the Honor of the Eternal God (Genesis 35:1-3) – pdf, 134 pp. or, A Solemn essay to promote the worship of God in private houses. The Best Entail (2 Samuel 23:5) – pdf, 85 pp. or, Dying parents’ living hopes for their surviving children, grounded upon the covenant of God’s grace, with believers and their seed. Heavenly Converse (Hebrews 12:23) – pdf, 59 pp. or, A discourse concerning the communion between the saints on Earth and the spirits of just men made perfect in Heaven. A letter to the Reverend Thomas Jolie – pdf, 2 pp. A New Creature (Galatians 6:15) – pdf, 175 pp. The Two Worlds (1 Corinthians 15:19) – pdf, 51 pp. Complete title: The two worlds, present and future, visible and invisible, wherein is represented the uncomfortable state of God’s children in this world, and their earnest expectation of future happiness with God. Meetness for Heaven Considered (Colossians 1:12) – pdf, 101 pp. The General Assembly (2 Thessalonians 2:1) – pdf, 99 pp. Sermons – pdf, 81 pp. Holiness the Way of Safety (four sermons on 1 Peter 3:13) – pdf, 45 pp. The Nature of Conversion (Matthew 18:3) – pdf, 11 pp. Deliverance from the World (Galatians 1:4) – pdf, 9 pp. A Stimulus to Duty (Hebrews 10:25) – pdf, 9 pp. Believers Safe and Comfortable in Death (Job 19:25-27) – pdf, 8 pp. The funeral sermon of the Reverend Samuel Eaton. Youth’s Monitor (Ecclesiastes 12:1) – pdf, 70 pp. Want to discuss something pertaining to Oliver Heywood? Leave a public comment below (subject to moderation), or send a private message to the webmaster.